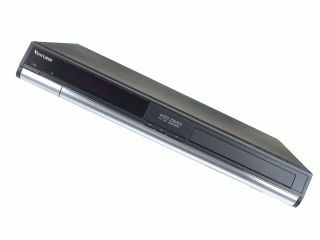 Venturer Electronics are set to launch a revamped version of their previously US-only SHD7000 HD DVD player in Europe during the Christmas period. In an unusual break from convention, the SHD7001 will only be made available for sale on the QVC shopping channel, with slots at regular intervals throughout Monday 29 December. No price has been revealed as yet, but seeing as the new player is going to be featured as a QVC 'Today's Special Value' product, bargain-hunters are unlikely to be disappointed. Commenting on the company's unusual approach to marketing, David Rouse, UK sales director for Venturer told Tech.co.uk that the TV deal would enable Venturer to reach a larger audience: "We recognise that Venturer is not a mainstream brand, so this is a good opportunity for us to get our product to a wider audience without having to extend our distribution network." As a further incentive to tempt prospective buyers, a free HDMI cable will be bundled with the player alongside two free HD DVD movies: Troy and Hulk. A voucher enabling buyers to claim a further five free HD DVD movies will also be included. Sales of the SHD7001 will take place exclusively on QVC during Monday 29 December.